So as time goes by and we become more and more involved in the green and sustainable industry, we have seen many different companies and individuals, with different building styles and different materials. As we have come to realise, the time of invention and discovery is over where our building material needs are concered. By this I mean, all that we need has already been invented and discovered and it is all in our past...we just need to look. Anyway, the one I would like to touch briefly on today is Hempcrete, which we are quite familiar with now in the UK and that is now growing popularity here in N.America. Hempcrete is a bio-composite made of the inner woody core of the hemp plant mixed with a lime-based binder. The hempcrete core or “Shiv” has a high silica content which allows it to bind well with lime based materials. This property of Hempcrete puts hemp up there as a great choice to mix with, among all natural fibers. The result is hempcrete is a lightweight cementitious insulating material weighing considerably less than concrete. Fully cured hempcrete blocks float in a bucket of water. 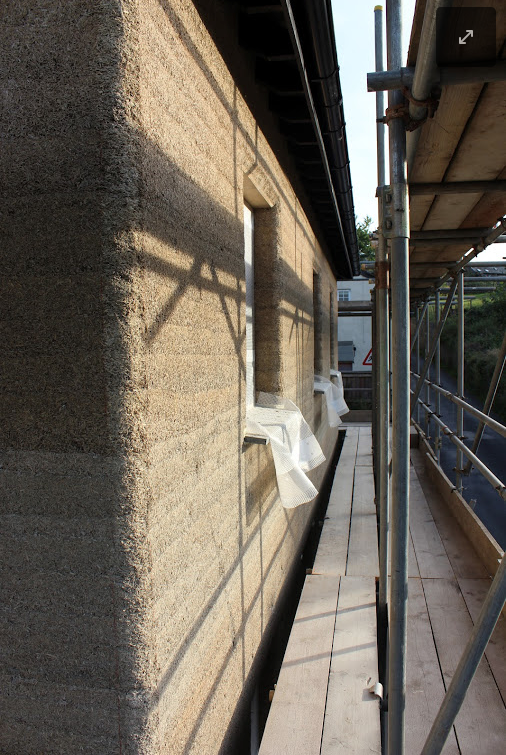 Hempcrete is generally a non-structural component of your property and is commonly used as insulating infill between the frame members, though it does tend to give the added benefit of reducing racking. All loads are carried by the internal framing, normally of wood, making it suitable for low-rise construction. However Hempcrete buildings ten stories high have been built in Europe. Hempcrete was discovered in a bridge abutment in France built in the 6th century. Since its rediscovery it has seen growing use in Europe. Industrial hemp is grown by certified commercial growers so the crop can be certified to be very low in THC. Given hempcrete has survived 14 centuries, I think you would agree that Hempcrete is a great material to build with. Here is a video with a little more information. Hemp itself is a beneficial crop requiring no fertilizer, weed killer, pesticide or fungicide. It grows so thickly that weeds cannot grow, which is great. Farmers normally grow the crop in rotation with other crops such as barley or rye, one of the reasons being the crop following the hemp requires no weed killer because the hemp has driven weeds out. The hemp seeds are harvested as a nutritious food supplements that are found to be rich in Omega-3 oil, amino acids, protein and fiber. 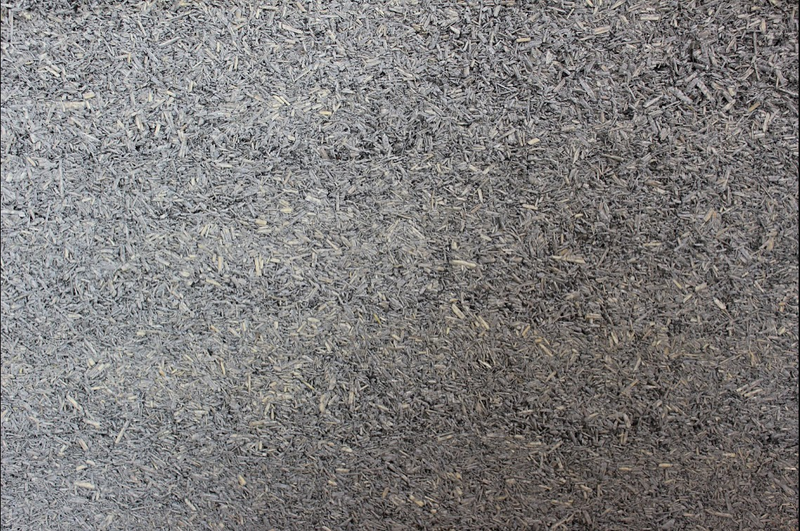 The outer fibers are used for cloth usually as a blend with 45% cotton. The part we are interested in is the woody inner core, which is chopped to uniform sizes. For over 60 years, growing hemp in America has been illegal believe it or not...lol, because it resembles its psychoactive cousin marijuana. However it is grown legally in Europe and Canada (Alberta I think) through a system of licensed growers producing seed certified low in THC . Farmers buy their seed from these seed growers and the fields are normally inspected periodically. There are companies and individuals now however, within America, working with Hemp one of these being American Lime technology out of Chicago, whom I visited with in the earlier part of last year. After a recent visit home to England, more specifically the beautiful village of Drewsteighton in Devon where I learnt my trade, I caught up with my good friends Samantha and Oscar Emanuel, who had just recently completed their own Hempcrete house. 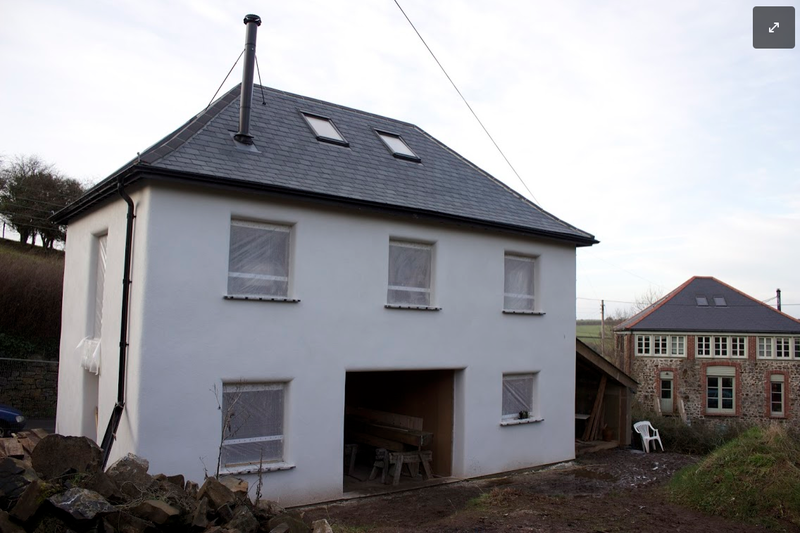 You can take a look at the hempcrete process on their blog @ froggybuild blog, also take a look at more lovely timber work at Oscars timberframe company in Devon EmanuelHendry.